This is one of the most common questions I get from friends and reenactors. My answer is always the same – It depends on the historical period, the evidence that you find about it, and the ways to reconstruct it. 1. 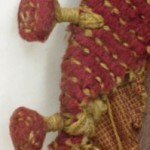 The most common way to decorate anything medieval, is by embroidering it. It may sound horrible to a man to have to decorate his huge clothes on his own. 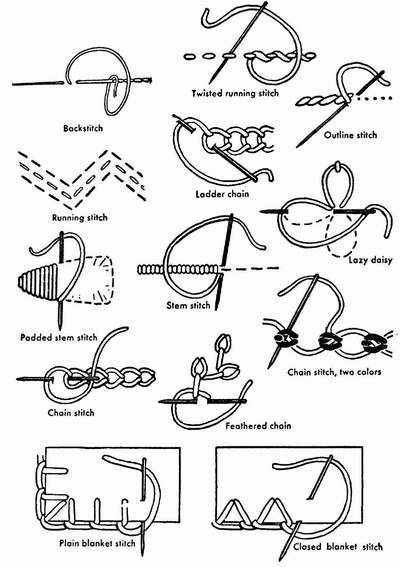 However, there are some really easy stitches that you can use that can help you decorate a lot faster. Besides the looks of the garment, the authenticity is of utmost importance. You need to make sure that those stitches were used at that place and that time! For example, in my group there was a serious argument of whether we could use X-stitches or not. 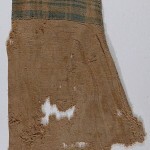 X-stitches look good and are traditional for culture, but we had no evidence to support their existence during the middle ages because we had no artifacts to prove it. We had various embroidered capes and clothes and religious clothing preserved from that period but none of them had any X-stitches. So, overtime we reduced the use of that embroidery style and replaced it with accurate ones. 2. 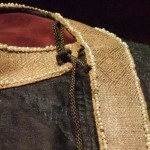 The second most popular way to decorate medieval clothing is with another piece of textile. If you’re making a tunic, you can make the main body of the garment of one fabric and use a different color, pattern, or material of fabric to sew around the sleeves, neck, and rim of the tunic. This of course depends on the reconstruction that you are making. Balkan medieval manuscripts and wall paintings suggest that this was one of the most popular ways to decorate your garment. We don’t have a lot of well-preserved finds, but we do have a lot of murals. So, if you want to be quick with your decorating, this is the way to go. And, as always, make sure it’s totally authentic! 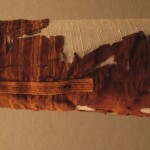 Early middle ages sleeve from the middle east. 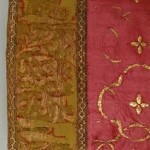 German medieval silk stocking decorated with yellow silk and gold embroidery. A simple dress with stripes of linen sewn on the cuffs and rim. 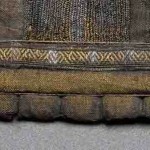 Detail of the Palermo tunic mid 13th cent. 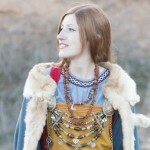 These are the methods you can use to decorate your own medieval clothing. The only thing that’s left to discuss are the buttons and brooches that can be used. That, however, depends highly on the location, period, and characteristics of the culture that you’re reenacting. 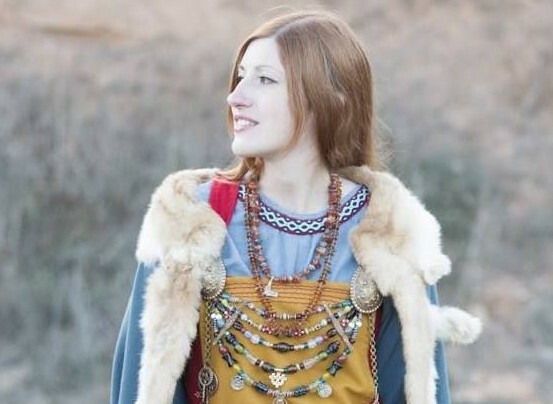 For example, Bulgarian medieval clothes are known to have been decorated with gold and silver threads, pearls, applications, glass beads, semiprecious stones, and a various designs of buttons. 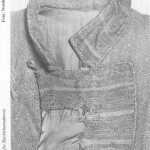 To reconstruct a poor man’s clothing you can use textile buttons. 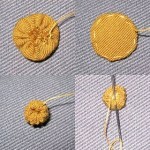 They are made of a ball of wool or other filling that is covered with textiles. If you want to reconstruct someone that is higher in hierarchy, we suggest you use silver or copper sphere buttons. They are the most popular ones and come in various designs. Just make sure you choose the most authentic model for your reconstruction! 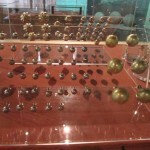 Besides metal ones, buttons can also be made of glass or clay, although the latter is not as durable. 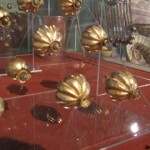 Glass buttons have been found in several medieval funerals in Bulgaria. Buttons of the Farsetto of Pandolfo III Malatesta (1370-1427). Well, that’s all the advice I’ve got on decorating medieval clothing. If you don’t want to spend too much time on it, just ask a friend or a tailor for help. Just don’t forget to do your research and make sure it’s authentic before you start anything!